At King Locksmiths we are attending to all the locksmith Fort Totten DC needs. We also service all other neighborhoods in and around Washington DC. We are a full service locksmith company. By “full service” we mean to say that we provide locksmith services in the automotive, residential and commercial fields. We take pride in the promptness and reliability of our technicians, and our mission is to help our customers with all their locksmith needs as best we can. At King Locksmiths, we understand the frustration and irritation caused by residential and automotive lockouts. There is nothing worse than suddenly coming to the realization that one has locked one’s keys inside a running car, or locked oneself out of the house. Sometimes these situations can seem more like an emergency rather than a mere annoyance. But whatever the situation is, at King Locksmiths we strive to help our customers resolve their locksmith issues as quickly and efficiently as we can, so that they can continue on with day. 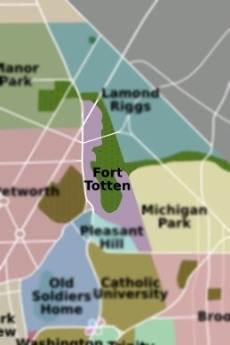 Our Locksmith Fort Totten services include more than just lockouts. We also provide installation of new locks and security systems, we repair or replace locks, perform automobile ignition repair and even provide safe cracking service. Our technicians are highly trained and skilled all with over 5 years experience in this field. Most importantly, we provide emergency locksmith service 24 hours a day 7 days a week so our customers can rest assured knowing that their most urgent locksmith needs will be dealt quickly and professionally. We are a locally owned Locksmith Fort Totten company offering our services to people throughout the Washington DC area. Please contact us immediately if there is an issue we can assist you with. Locksmith Fort Totten DC Services with King Locksmiths https://kinglocksmiths.com/fort-totten/ 4.0/5 based upon 31 reviews.